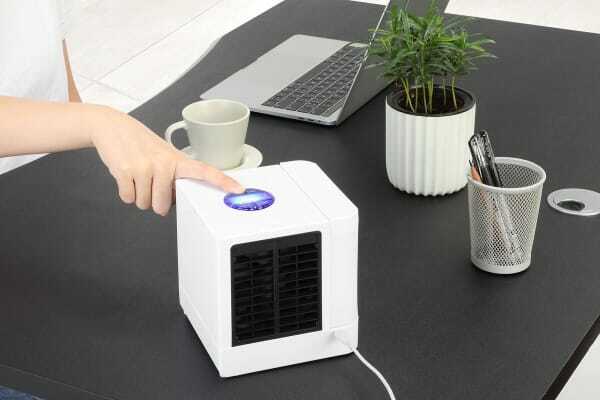 Cool down without the fuss of finding an air conditioner or clunky fan with this personal air cooler, keeping you refreshed and temperate with just a USB port and a splash water. USB operated, just add water and go! The air con at the office is on the blink. Your fan in the bedroom just isn’t cutting it. Don’t swelter in silence – use this incredible little cooler to banish the heat for a tiny price! 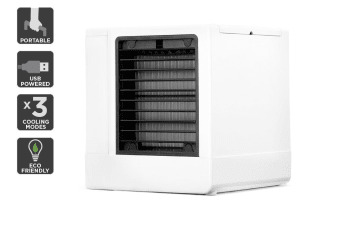 Whether you’re craving a light breeze at the office or full-pelt cooling after a sweaty gym session, the Kogan Mini Air Cooler’s three speeds suit all your temperature needs. 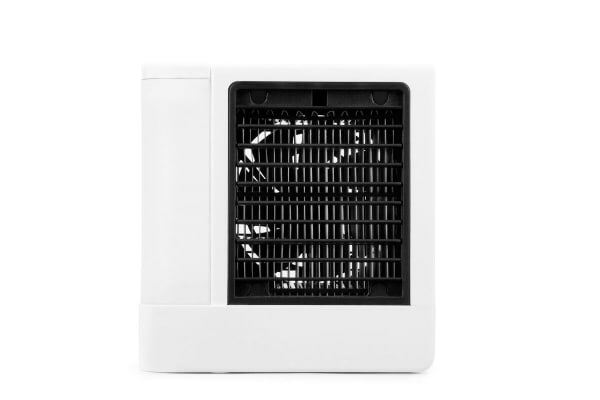 Thanks to the compact design and simple operation, the Kogan Mini Air Cooler can sit easily on your desk or nightstand without taking up too much space, and be easily packed away for use when you’re camping or traveling. Works when it isn't 35 degrees! It arrived well packaged with good instructions and is easy to use. It works well.